The quality of Olli Salumeria salumi is directly affected by three main factors; meat, ingredients, and method of production, which we have perfected over the years. Our salumi making takes a unique and old-world approach to all three of these factors. In doing so, we have created a product that we believe in and has a tangible difference from more traditional salumi found in the USA. 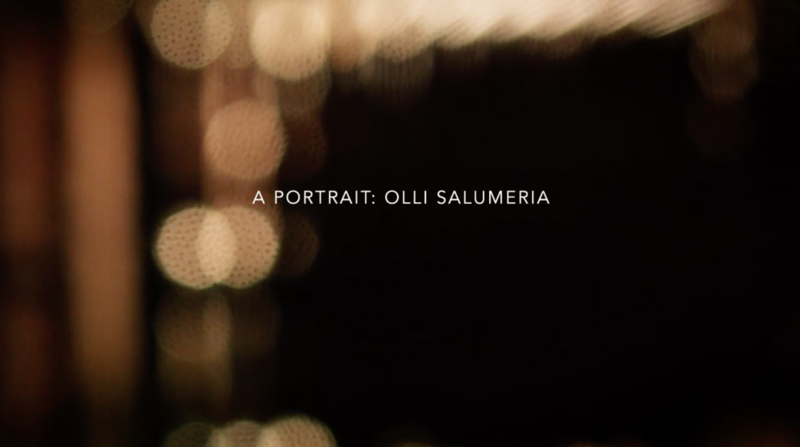 With Olli, we aim to create an experience that recreates what a person would eat in Italy. This experience is a fresh tasting salami that is sweeter with a less acidic taste. A salami that had time to develop its complex meat flavor through a slow cure production cycle, becomes a salami that is not just flavored with spices, but with a combination of method, meat, and culture. WANT TO SELL OLLI PRODUCTS? The best chart you can bring to the store with you to plan your event, picnic, or evening! We taken the time to personally select pairing suggestions to compliment all flavors of Olli Salami. 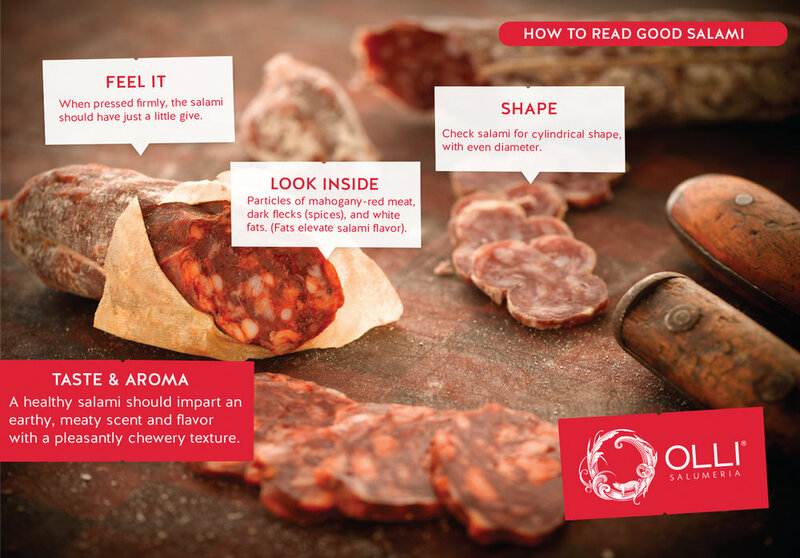 Olli Salumeria wants to elevate your experience next time you are opening one of our flavorful salami chubs by learning how to read good salami.